If the automatic disabling and enabling of Numlock feature in Windows is causing you trouble, then you could always choose to enable or disable this feature forcibly at the time of every Windows startup. For that, we need to make some changes to the Registry Editors. Before making changes to the Registry Editor, kindly create a system restore point just to be on the safe side. You can refer to our article on the topic How To Create Restore Point In Windows 10 A Step By Step Guide. Once you are all set, let’s get into business. First of all, the Registry Editor needs to be launched. For that, press WIN+R keys together. 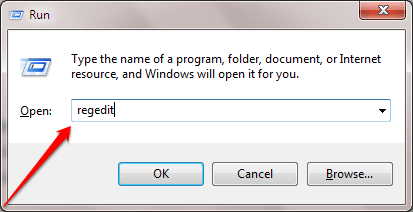 This will open the Run dialog box. When it does, type in regedit and hit enter key. Make sure the path you have navigated to is correct by refering to the following screenshot. 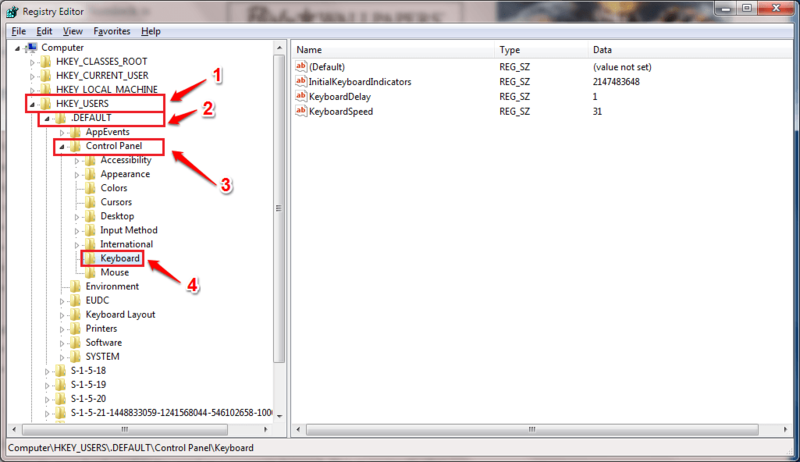 Now in the right window pane of the Keyboard key, you will be able to find an entry named InitialKeyboardIndicators. 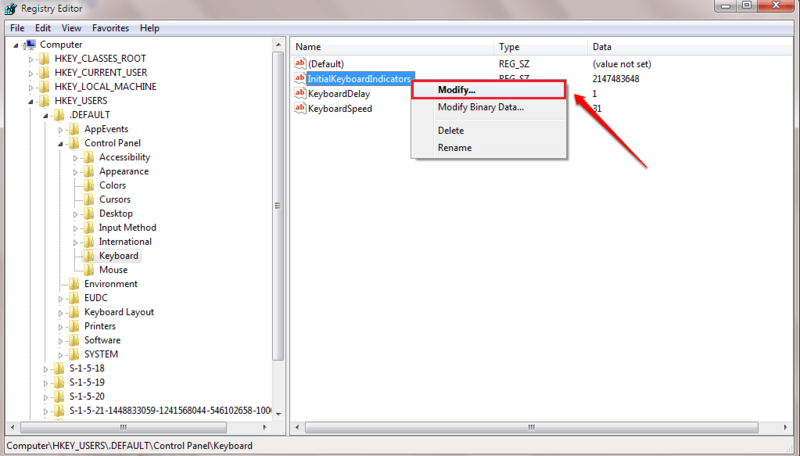 Right click on it and choose Modify option from the context menu that appears. 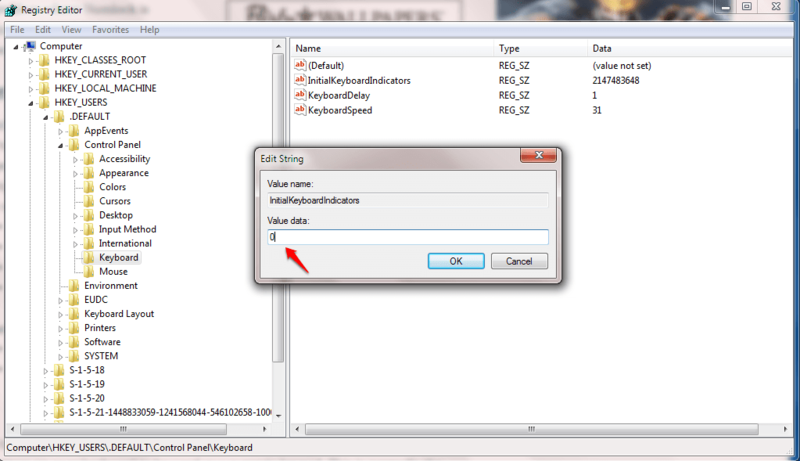 Alternatively you could double click on InitialKeyboardIndicators to do the same. You have to set the Value data as 0 to disable the numlock at Windows 10 startup. 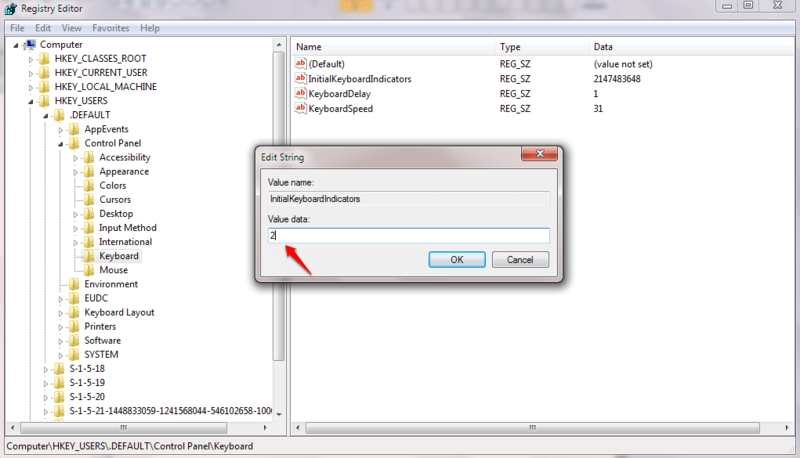 If you want to enable the numlock at the startup, then simply set the Value data filed as 2. That’s it. Restart the system for the changes to take over. If changing the Value data values to 0 and 2 doesn’t disable and enable the numlock feature, then try the same with values 80000000 for disabling and 80000002 for enabling. See if it works. Note : Making the value of Value data to 80000000 and 80000002 is reported to cause keyboard issues to some of the users. So please perform this step at your own risk. Always create a system restore point before making registry changes as mentioned in the intro part just to be on the safer side. Try out this simple trick today itself. Hope you found the article useful. 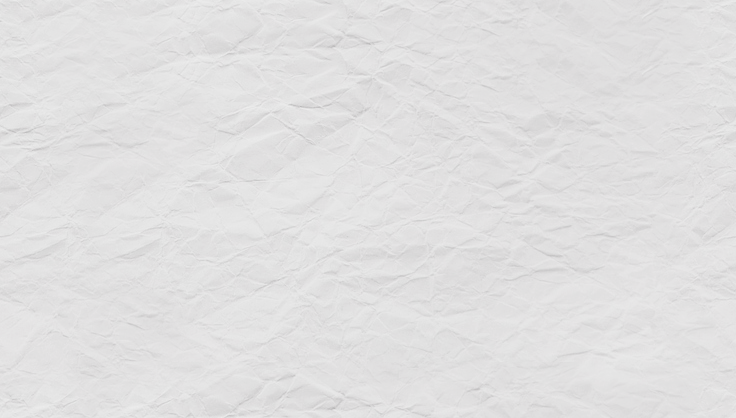 If you have any doubts regarding any of the steps, please feel free to leave comments. We would be happy to help. Stay tuned for more tricks, tips, and hacks.